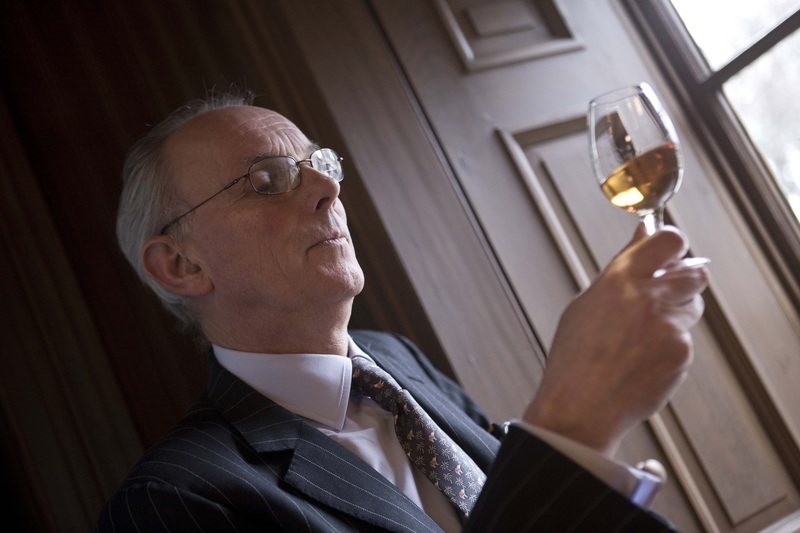 World-renowned Master Blender Colin Scott is celebrating 40 years in the whisky industry. Highlights of his glittering career include the creation of luxury whiskies Chivas Regal 18 Year Old and Chivas Regal 25 Year Old, as well as the growth of the Royal Salute range. Colin developed an early passion for whisky, as he grew up next to an Orkney distillery. He followed in the footsteps of his father and grandfather – who also dedicated their lives to Scotch whisky – when, in 1973, he joined The Glenlivet Distillers as a Trainee Manager in Edinburgh. His experiences in production started in the company’s bottling plant in Leith and on its closure he moved to the Newbridge bottling plant. Here he progressed through the Package Quality and Spirit Quality departments, eventually joining the Blending team in Paisley. In 1989 he became Master Blender for Chivas Brothers after learning the traditions and highly-skilled art of Scotch whisky blending from his predecessor, Jimmy Lang. Among Colin’s career milestones are the creation of Chivas Regal 18 Year Old in 1997, and 10 years later in 2007 when he added the Original Legend – Chivas Regal 25 Year Old. He has also expanded the Royal Salute range to include its 38 Year Old Stone of Destiny, Tribute to Honour, 62 Gun Salute, 100 Casks Selection and Diamond Tribute expressions. Colin added: “Back when I started our primary concerns were Chivas Regal 12 Year Old and Royal Salute 21 Year Old – two iconic products. Now we have two great families. To have been involved in the development and growth of their fame has been very exciting. This is especially true for Chivas Regal 18 Year Old, which is today global No.1 in its category, and I feel especially honoured that every bottle carries my Gold Signature. In recognition of his contribution to the Scotch whisky industry, Colin was appointed a Master of the Quaich in 2008, having previously been inducted as a Keeper of the Quaich – Scotland’s most prestigious Scotch whisky Society – in 1998. Colin has three grown-up daughters and lives in Kilmacolm with his wife, Penny.